Since then cannabis was classified as a Category 5 narcotic and Thailand forfeited its status as one of the world’s largest exporters of cannabis. Consequences of this classification: those trying to profit from the cultivation and trade of cannabis face imprisonment of up to 15 years and substantial financial fines. Now that the medical and even recreational use of cannabis was legalized in several countries the Thai Government is in the process of approving the legalization of cannabis for medical use and research as well. The approval of medical cannabis will be a turning point in Thailand’s zero-tolerance politic on drugs; Thailand will be the first country in Southeast Asia to legalize cannabis. Cannabis will – according to the ONCB – be permitted for patients suffering chemotherapy side effects, Parkinson’s disease, epilepsy, multiple sclerosis or cancer pain. Both medical doctors and Thai traditional healers will be able to prescribe these medications under Thailand’s Food and Drug Administration and Ministry of Health. Individuals will not be permitted to grow marijuana at home personally. Private firms are able to cultivate, produce and sell medical marijuana. 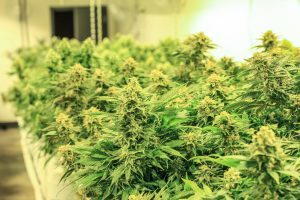 Strict controls on cultivation, including a mandate that all medical marijuana is grown indoors, to avoid illegal abuse, even if this order increases the production costs by factor five. Organizations need to be authorized and registered under the law to be allowed to produce cannabis. Only governmental research institutions and universities are allowed to give licenses to the cannabis producing companies. Any expansion of these licenses is under a five-year restriction by law, and further, a two-year mandated review could, in theory, result in a complete reversal of legalization if the impacts are assessed to be negative. After all, this development draws the attention of foreign companies and investors of the global cannabis market to Thailand. Thailand’s geographical position and favorable climate could help to cut the costs in production and the business of import/export. However, it remains to be seen whether foreign companies will be able to file patents on cannabis and hence exclude Thai companies from the billion market.